Sometimes people find themselves in a position where they are unable to shake depression or anxiety. They may have so much trouble facing their day that getting out of bed can feel like a major success. Although many people struggle with mental illness, the illness is not always visible to the naked eye. It is the job of a psychologist or counselor to diagnose the issue and provide the appropriate treatment plan. Psychologists examine human mental processes and how they affect behavior. You will use observation, assessment, and experimentation to develop theories about the beliefs and feelings influencing your patient’s actions. Psychologists often gather information and evaluate behavior through controlled laboratory experiments, psychoanalysis, or psychotherapy. You may also administer personality, performance, aptitude, or intelligence tests. Many psychologists work alone, doing independent research or patient counseling. Others work as part of a healthcare team, collaborating with physicians, social workers, and others to treat illness and promote overall wellness. An education in psychology prepares you for career opportunities in counseling and closely related fields. You can apply your knowledge and skill in areas like human services, healthcare, education, management, sports, and law, though most individuals choose to focus on a specialization. A master’s degree is sufficient for some positions. However, clinical, counseling, and research psychologists need a doctoral degree. If you want a private practice or to provide services directly to patients, you must also fulfill specific licensing and certification requirements as dictated by your state. Get a bachelor’s degree in psychology, which takes four years if you go to school full time. Get a master’s degree in psychology, which takes 2-3 years and prepares you for your doctorate program. Get your doctorate in psychology. You can get a Doctor of Psychology (PsyD) or Doctor of Philosophy in Psychology (PhD). This can take between 4-7 years. The Doctor of Psychology degree focuses on clinical and practical work. The Doctor of Philosophy in Psychology focuses on experimental methods and research. Work 1-2 years under the supervision of an experienced psychologist. Get your license so you can practice on your own. There are many different yet related careers in psychology. Some psychology professionals work directly in research, while others choose to treat patients. Clinical psychologist: When most people think of a psychologist, the private practice/clinical psychologist is probably who comes to mind. As one, you will assess and treat patients for emotional and behavioral issues, from anxiety and depression through more chronic conditions such as schizophrenia. You need to get your doctorate, complete your clinical training, and get licensed. The median annual salary is more than $73K. School psychologist: A school psychologist is an important element in school districts. You will provide testing for special needs placement, provide counseling for students both individually and in groups, conduct assessments, and address issues within the school. You’ll need to get a master’s degree or an Education Specialist degree. You need 1,200 hours of internships with 600 of those hours in a school setting. The median annual salary is over $73K. Marriage and family therapist: You will help couples and families with the necessary communication skills. Families sometimes have tension from addiction and dysfunction. Using your skills, you will try to help them learn to deal with, if not break out of, their vicious cycle. You’ll need a master’s degree, two years of supervised experience, and a state license in order to practice. You’ll earn a median salary of more than $48K. Industrial-organizational psychologist: The i-o psychologist usually works solo and studies the psychological aspects of workspaces to help solve workplace problems. You’ll look at all the moving pieces within that work environment—productivity, management, employee dynamics, and more—to help improve the quality of work life. Depending on your end goal, you will either need a master’s degree or doctorate, and you’ll need to be licensed through your state. The median wage for industrial-organizational psychologists is more than $82K. Neuropsychologist: Neuropsychologists often work in clinical settings or in research. You will study the relationship between behavior and the brain. When a patient has a nervous system disorder, you’ll assess conduct and symptoms in order to help make a diagnosis for treatment. You’ll need your doctorate, state license, a few years of experience, and to become board certified. You’ll earn an average salary of more than $95K. Geropsychologist: Also called a geriatric psychologist, a geropsychologist works with patients over 60 years old who have emotional, medical, and physical issues due to aging, loss of a loved one, and other troubles that come with getting older. Essentially, your main goal is to aid your patients in improving their emotional and functional states as they age. You’ll need to get your doctorate, complete your clinical experience, and get your state license in order to practice. You’ll earn more than $73K annually. Social psychologist: You will be researching social interactions and all the factors that could impact them, such as group behavior, social proof, leadership, and attitudes. You may work for the government, colleges, or other institutions in marketing research, system design, and organizational consulting. The minimum educational requirement is a master’s degree, but if you want to teach, then you’ll need a doctorate. You will need your state license too. The median annual salary is $95K. Health psychologist: The specialty area of health psychology focuses on the factors that affect health and illness. You will take into account biological, psychological, and social life elements to determine the proper medical/psychological care for patients. You’ll need your doctorate and a state license. You’re looking at an average salary of $95K. Forensic psychologist: This specialty field is a mix of psychology and the legal system. You will be focused on criminals and figuring out why they’ve committed their crimes, what types of people they are, and how to prevent similar crimes in the future. After you get your master’s degree in psychology, you may want to turn your attention to criminal law before going on for your doctorate in psychology. You’ll need you state license and to become board certified. You’ll earn over $95K annually. No matter what state you live in, if you want to be a practicing psychologist, then you must be licensed. However, the laws vary by state and the type of psychology you practice. To be eligible for licensing, you must have a doctorate in one of the 15 areas of psychology, complete an internship, and have 1-2 years of work experience under an experienced licensed psychologist. The median annual salary is over $75k, taking into account all the different types of psychology careers and industries in the field. The top 10 percent earn well over the $120K mark. The majority of psychologists have their own practice, but many will also work as independent consultants on a part-time basis. The overall employment growth for the profession of psychology is 14 percent, far faster than most other occupations. The only area of psychology that is maintaining an average rate of growth is industrial-organizational psychology, so there will be the most competition for those job openings. 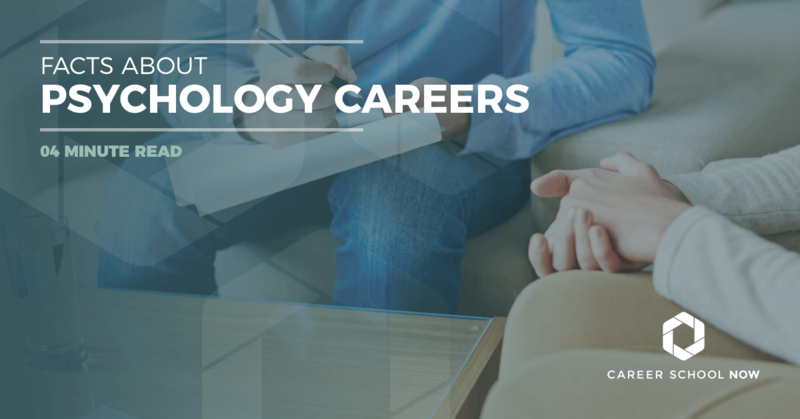 For clinical, counseling, or school psychology positions, if you have an educational specialist degree and doctorate or post-doctoral work experience, then you will have the best job opportunities. In the past few years, there has been enormous growth in online education, in both university offerings and student enrollment. It’s no secret one of the primary draws to online education is the flexibility that it offers. Most public universities charge in-state tuition to their online students, making online learning cost-effective. It is important that psychology degree programs be APA-accredited. No matter what methods of instruction used, APA accredited programs are required to meet eligibility, curriculum/training plan, program resource, diversity, student-faculty relations, self-assessment, public disclosure and relationship with accrediting body requirements. At this time, there are no programs accredited by the American Psychological Association (APA) that only use online methods of instruction alone. There are hybrid degree programs available, however, where courses meet in person and online. Most master’s degree programs—even those with online classes—also require a thesis project, field work, or an internship before graduation.